New research by Accenture finds that the on-demand healthcare sector has jumped from four companies in 2010 to 42 in 2014 (a growth rate of 224 percent). What was a $250 million industry just a few years ago will top $1 billion by the end of 2017. That means that investment in on-demand healthcare – whether it’s delivered online, on the smartphone or in an mHealth clinic, will quadruple over the next few years. “On-demand healthcare is fundamentally changing—and enriching—the doctor-patient relationship, making the physician much more accessible to patients while simultaneously reducing costs,” Kaveh Safavi, MD, JD, senior managing director for Accenture’s global health business, said in remarks issued with the report. Health plans and even government services like Medicare and Medicaid are beginning to recognize the importance of virtual care. States are moving to enact telehealth parity laws, so that virtual visits are reimbursed and regulated the same as would be an in-person visit. With more than 190 million smartphones or similar mobile devices in the hands of consumers, people are ready to embrace, and even demand, medical services that are provided on the device they use for just about everything else. 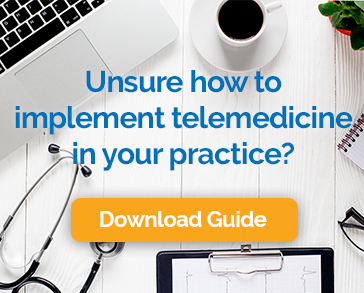 Telemedicine platforms give consumers an option that is more economical and less time-consuming than a trip to the doctor’s office, ER or urgent care clinic. In addition, businesses are recognizing the opportunity to reduce absences, improve health, and boost productivity by becoming involved in telehealth programs. New health plans that consider multi-channel care and home-based health monitoring and fitness tools are being developed. One finding that might surprise some is that while, as expected, younger people are quick to embrace telemedicine platforms, seniors are using the option as well.